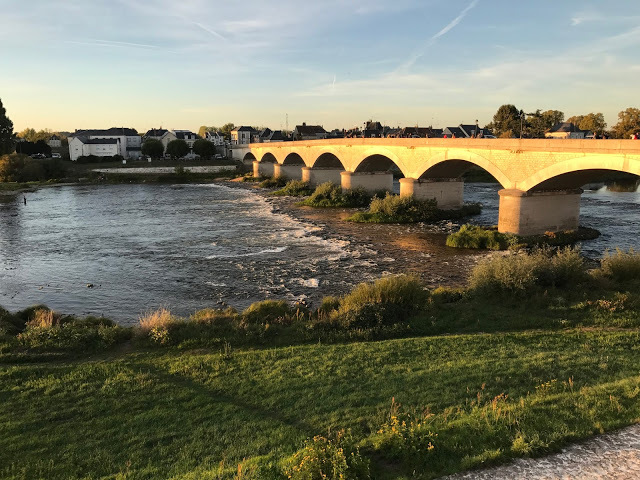 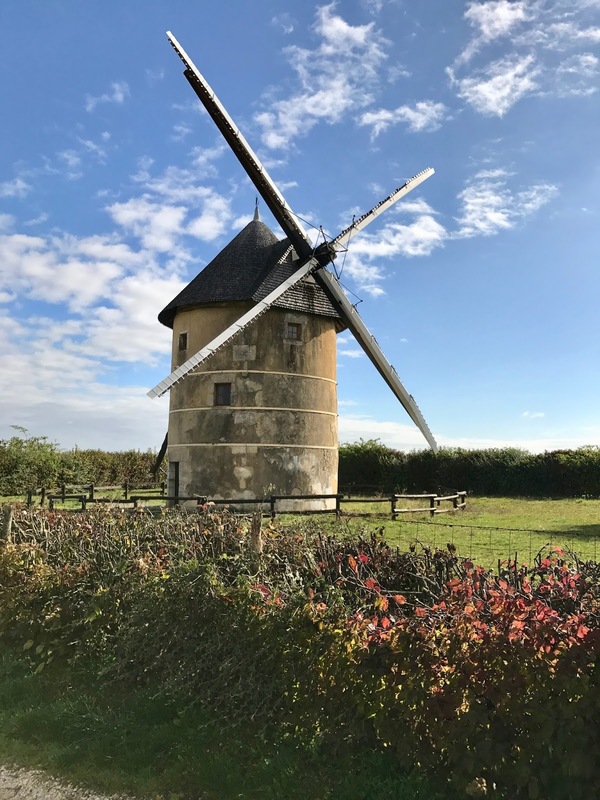 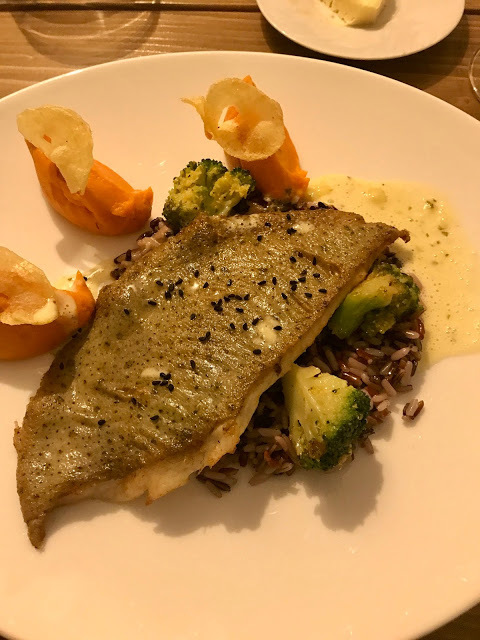 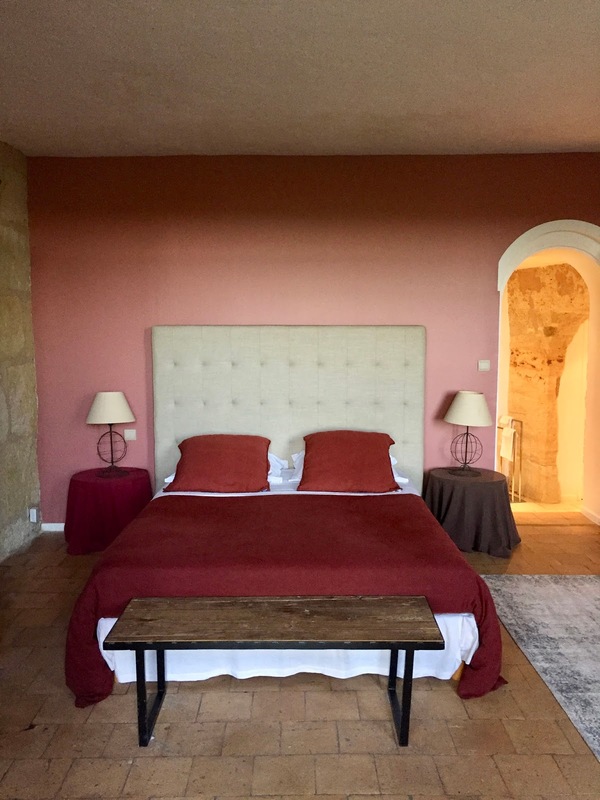 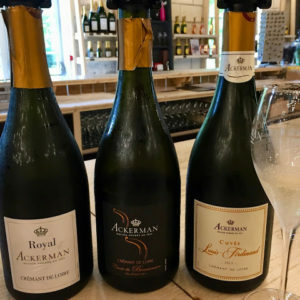 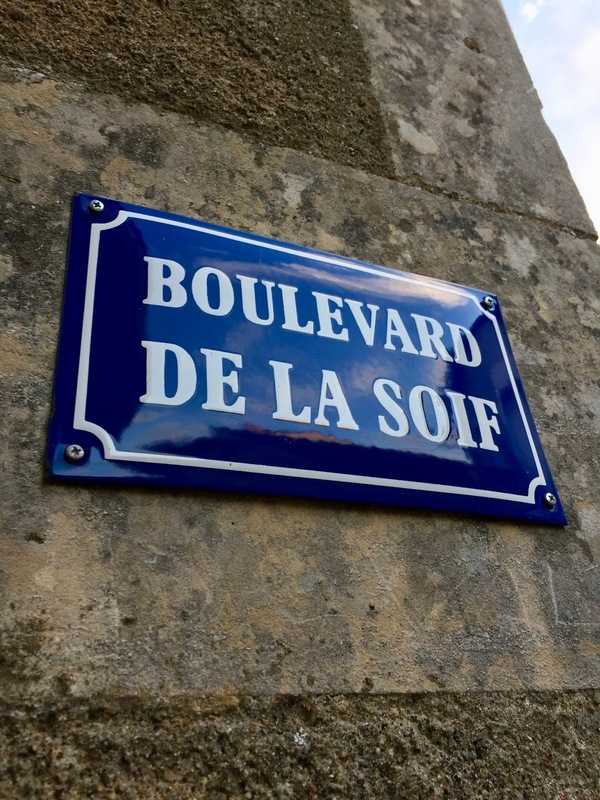 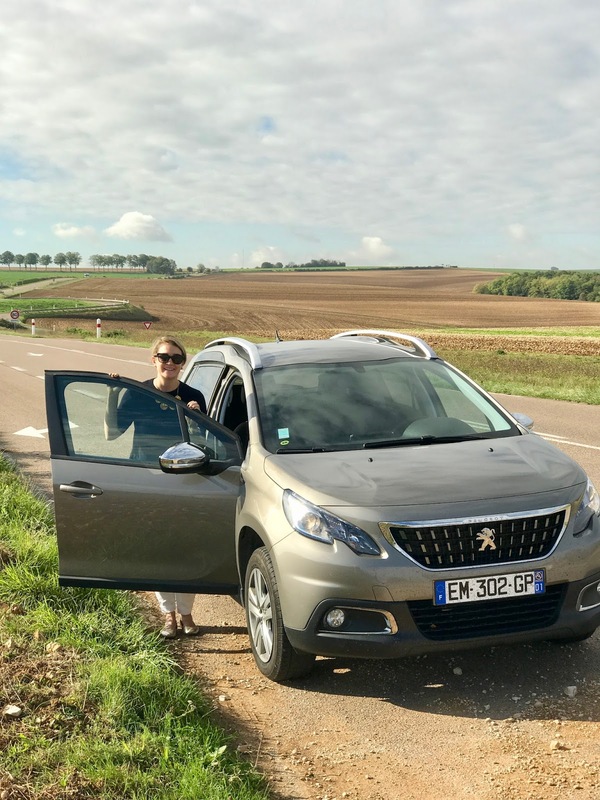 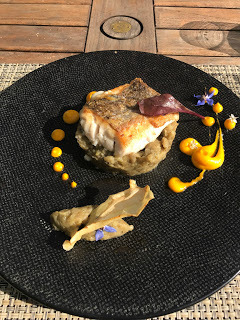 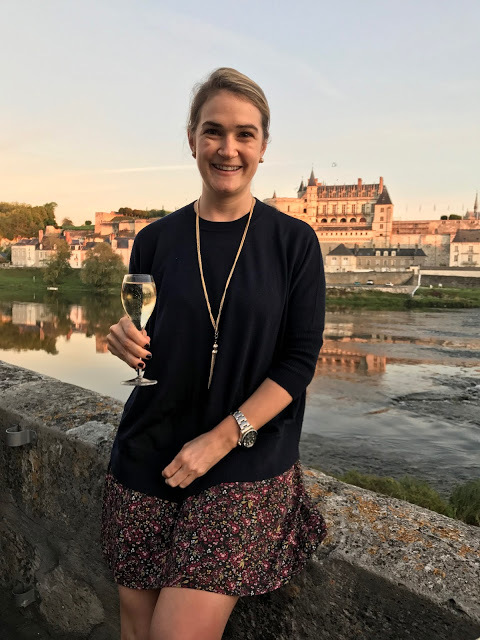 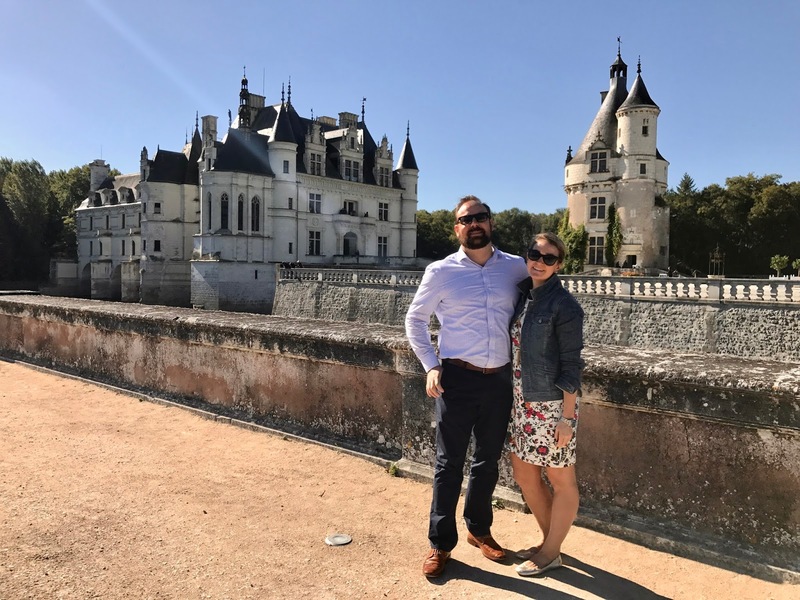 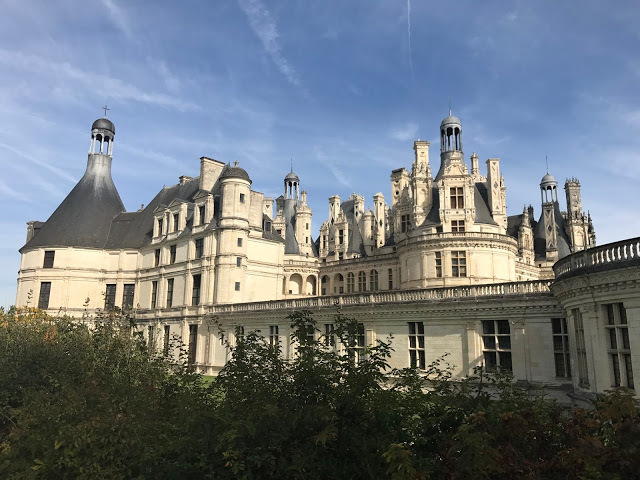 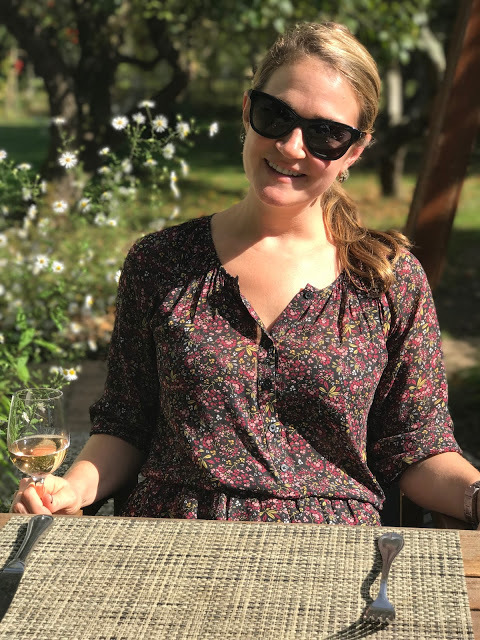 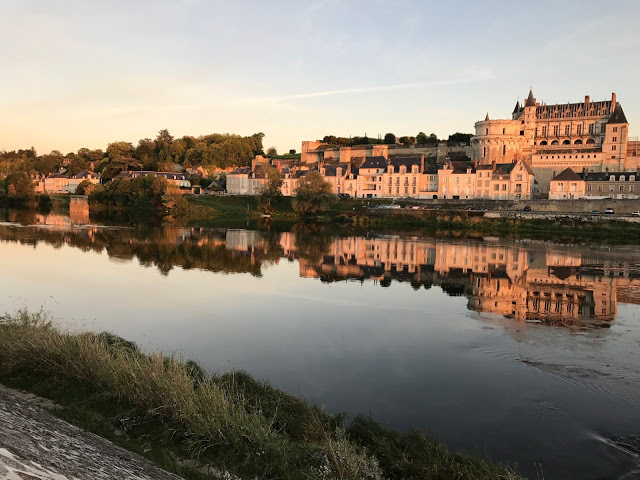 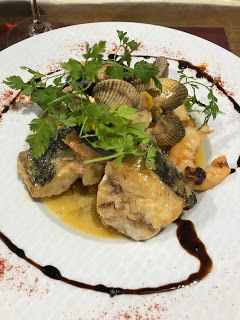 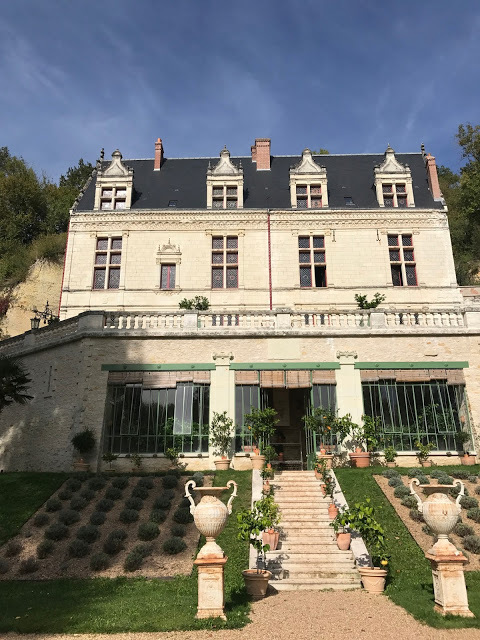 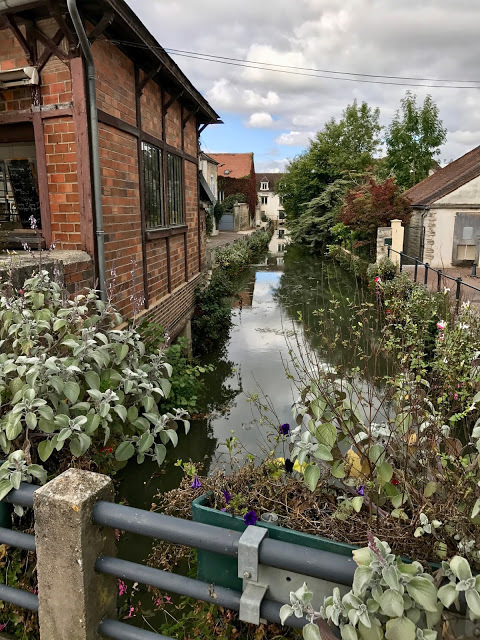 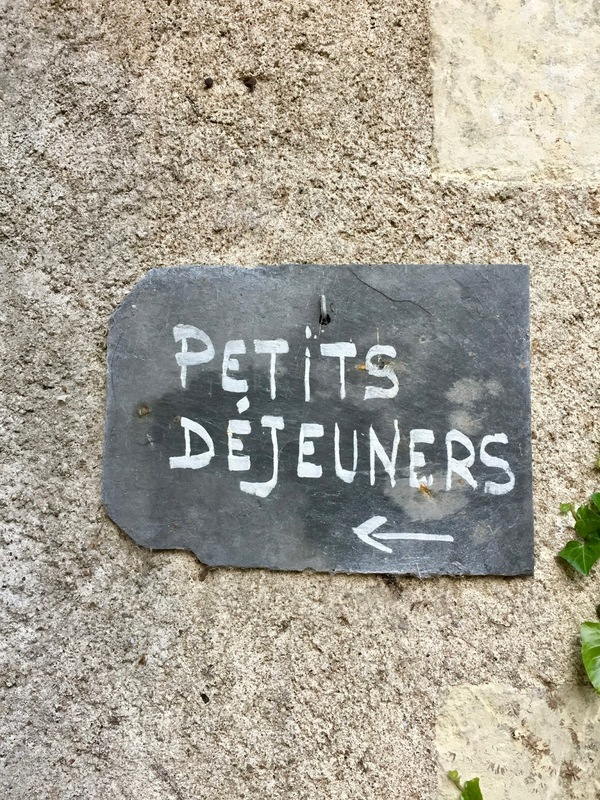 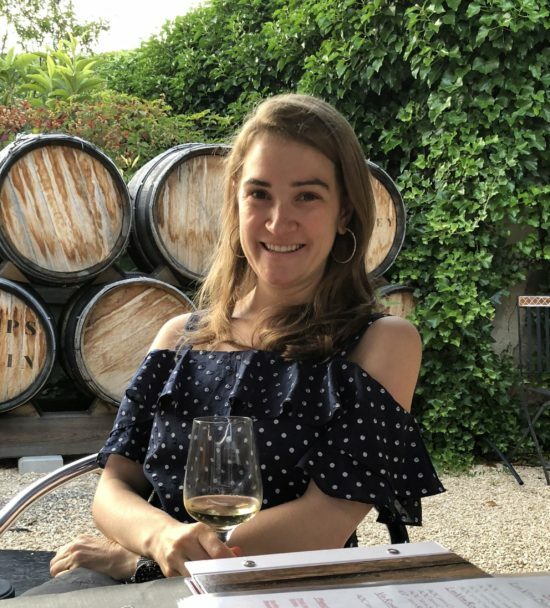 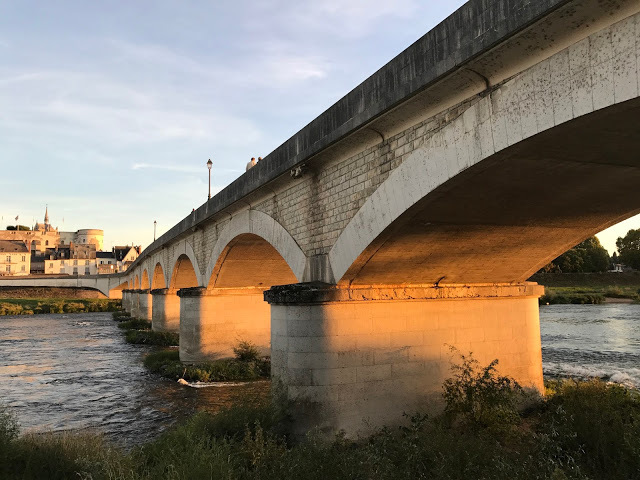 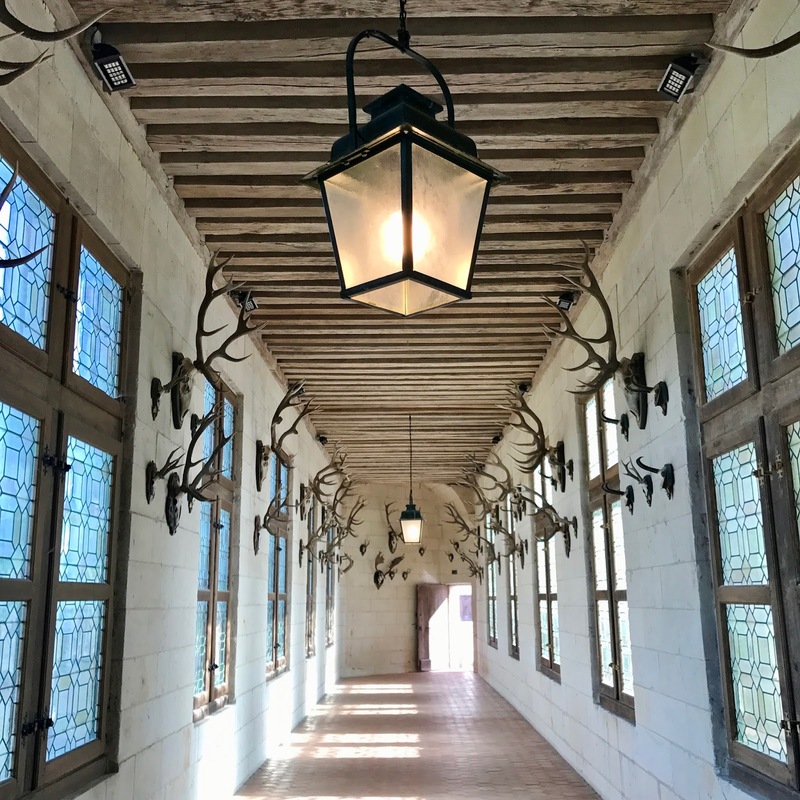 Travelogue - Loire Valley Part 2: Amboise, Touraine, Sancerre, Chablis - Chardonnay Moi - Food, Wine, Travel and Fun! 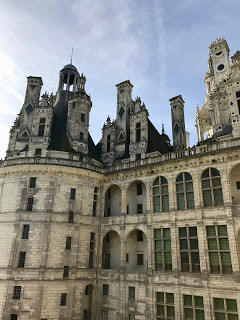 Following part 1 and my tour through the western part of the Loire Valley, we continued the second half of our trip, moving east. 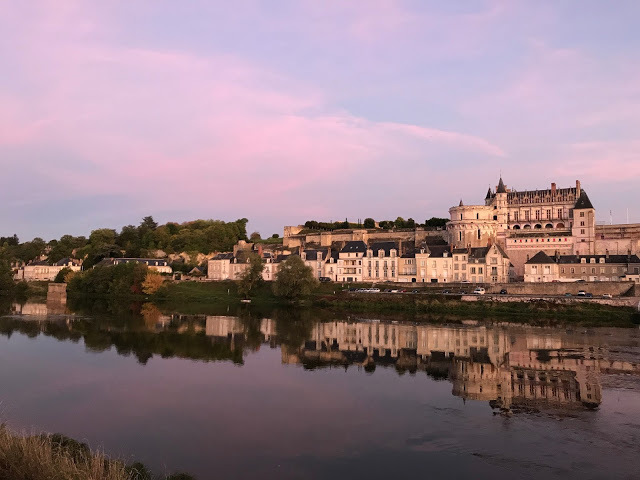 The village of Nazelles, just outside of Amboise, was our home base for 2 nights where we stayed at the absolutely gorgeous Chateau Nazelles. 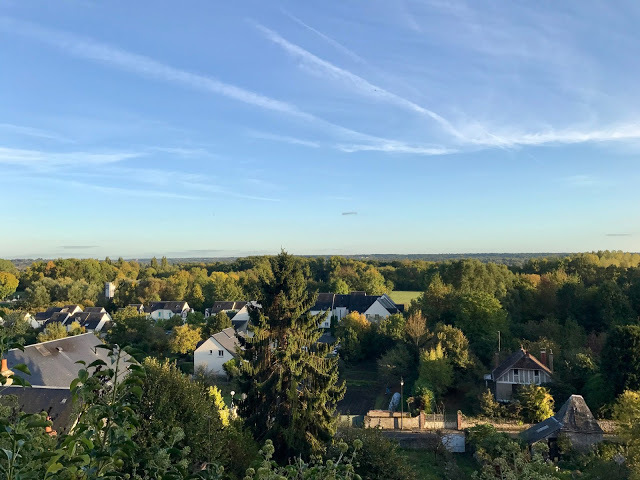 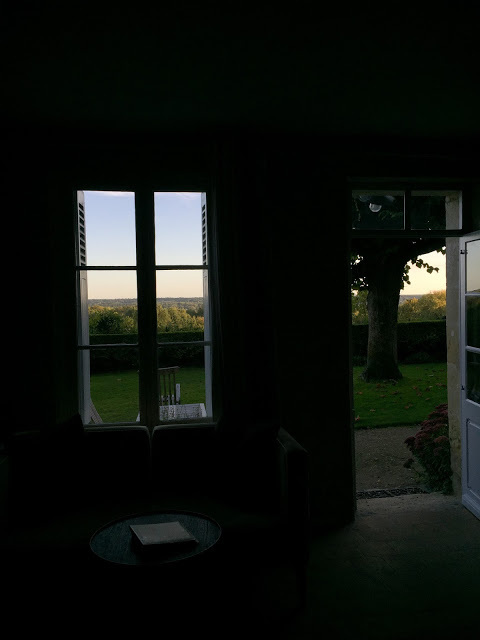 We arrived just in time for the sunset; the town of Amboise could be seen in the distance from the front of our room, which was carved into the limestone hillside. 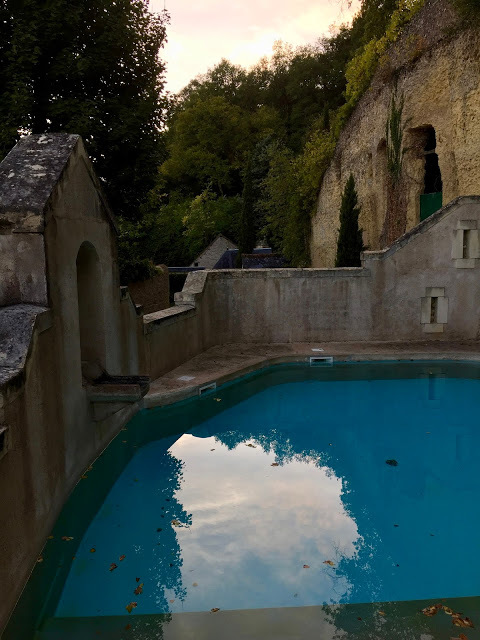 I was hoping we’d catch a late fall heat spell so we could take a dip in the pool but it was still pretty to look at! 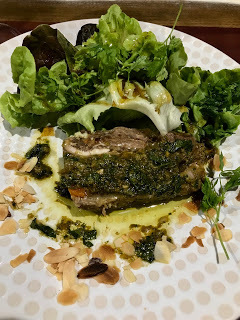 We ventured in to town for dinner at L’Ecluse. 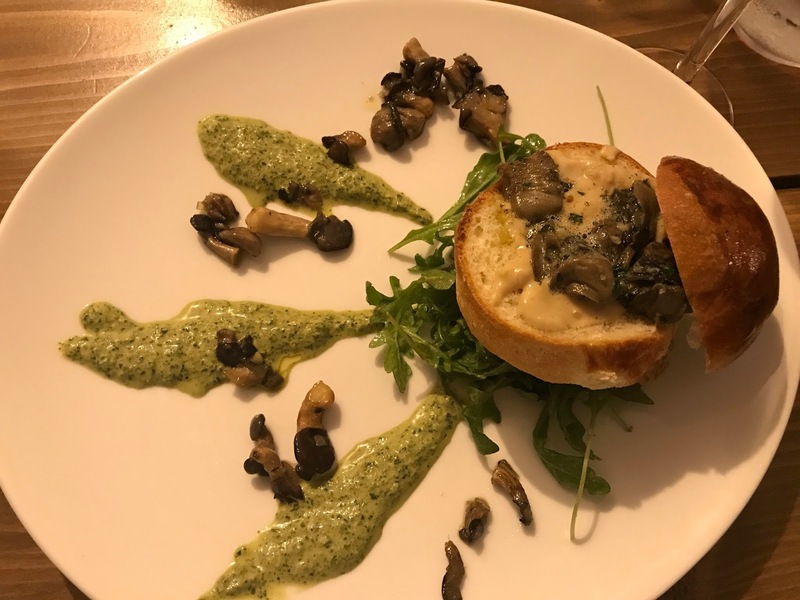 A very inventive take on escargot – out of their shells and stuffed into a brioche bun with a delicious creamy sauce! 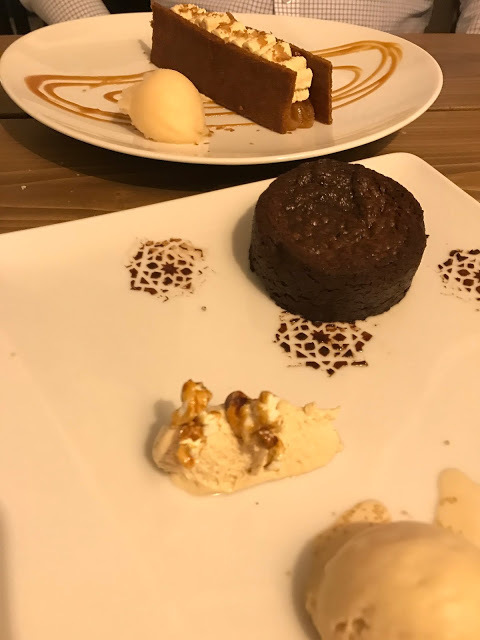 And just because French price-fixed menus typically include dessert, our hands were forced to order these delicious chocolate creations. 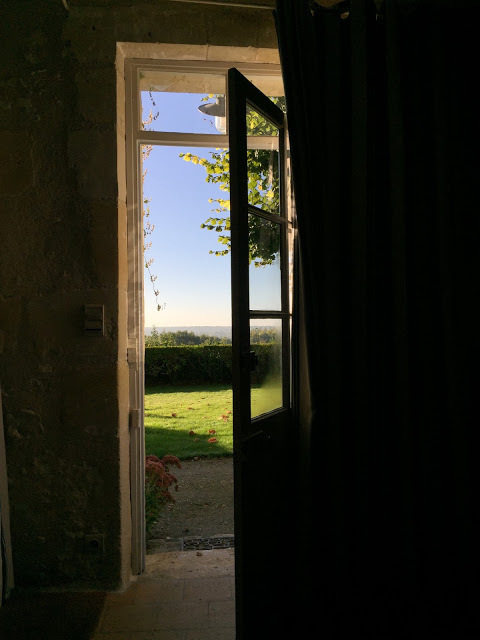 Day two started off with a petits dejeuners full of local products and specialties in the sun-dappled breakfast room. 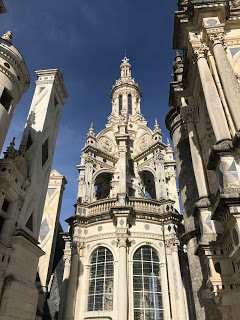 We drove an hour further East to visit the Chateau of Chambord. 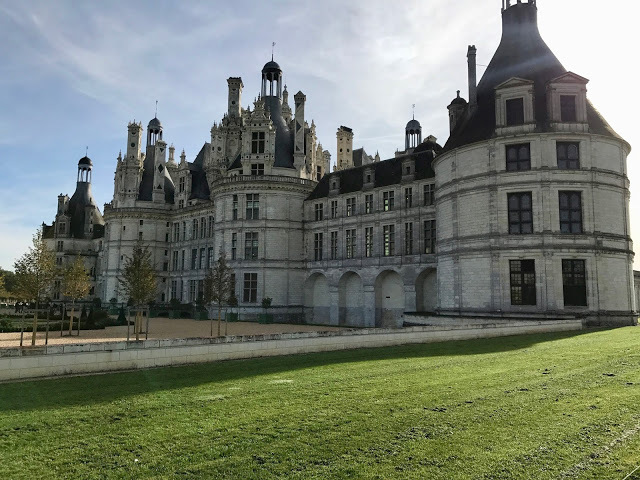 A very different look and feel as this was considered a “winter” palace and hunting grounds, there are enough fireplaces to use a different one each day of the year! While the inside was cool to see, I would almost skip the paid ticket and just enjoy the grounds as the best view is of the Chateau itself from a distance. 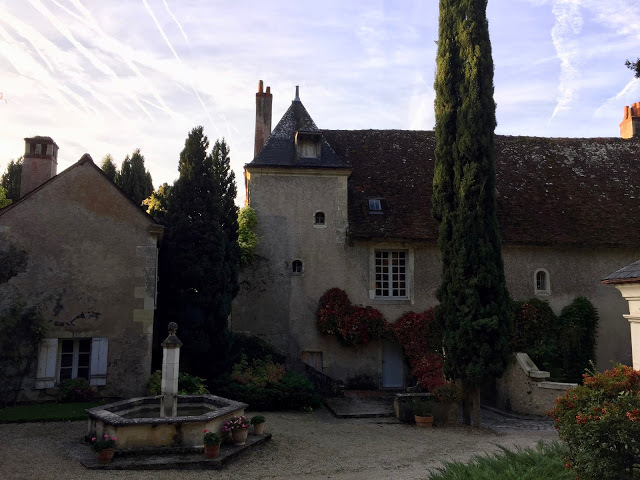 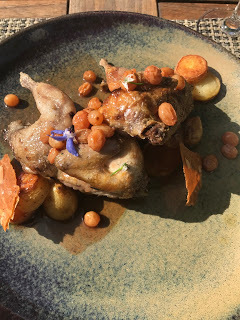 We had a delicious lunch in the sun-drenched backyard of Auberge de Launay. 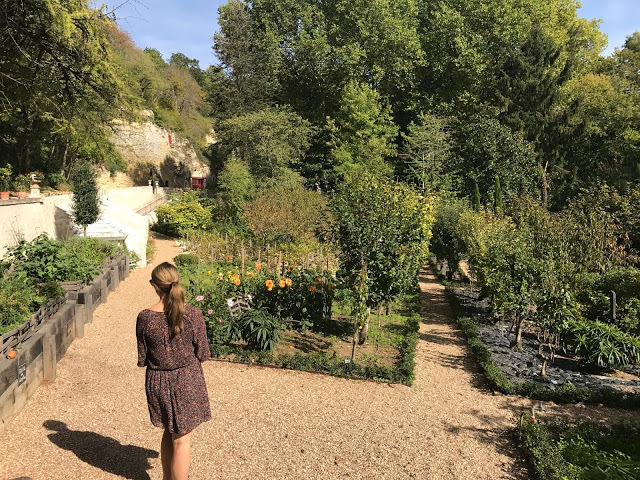 After lunch we took a walk through the gardens of Chateau Gaillard where the first orange trees of France can be found! 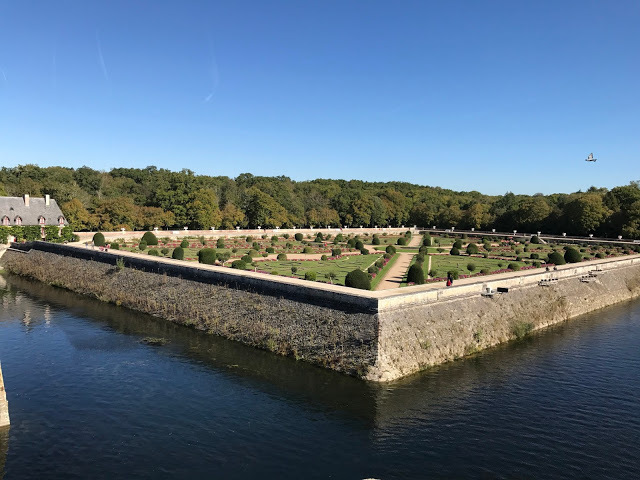 While it was lovely, the 12 euro admission price wasn’t exactly worth it. 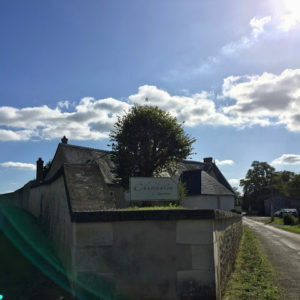 We had an afternoon tasting appointment at Domaine La Grange Tiphaine, where owner Coralie tasted us through their wines. 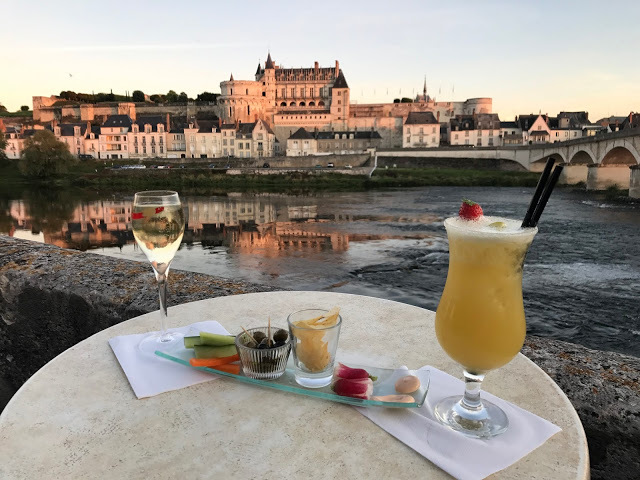 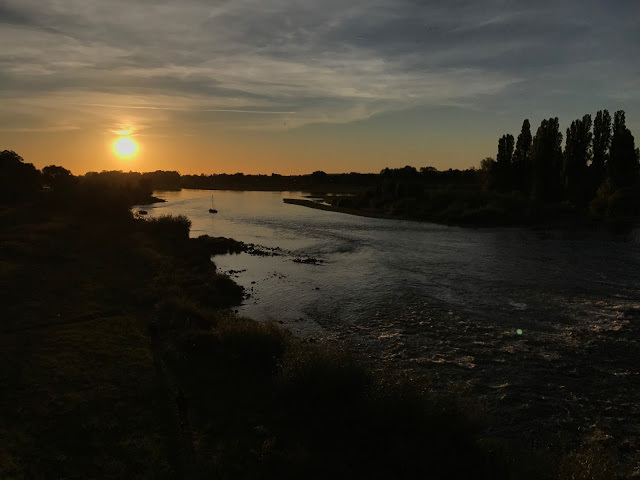 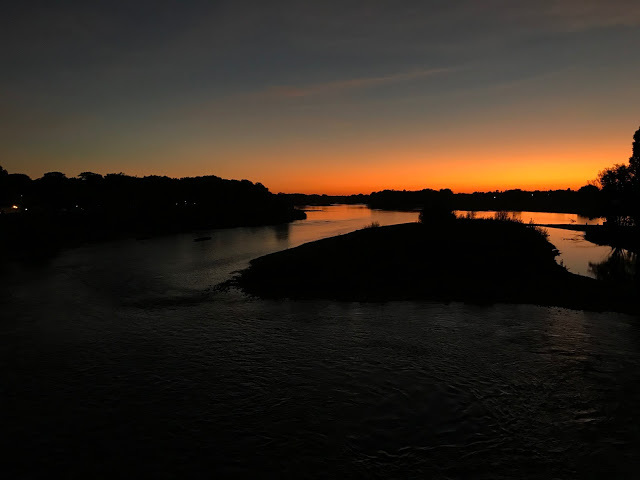 We caught the most gorgeous sunset over drinks at Le Shaker in Amboise. 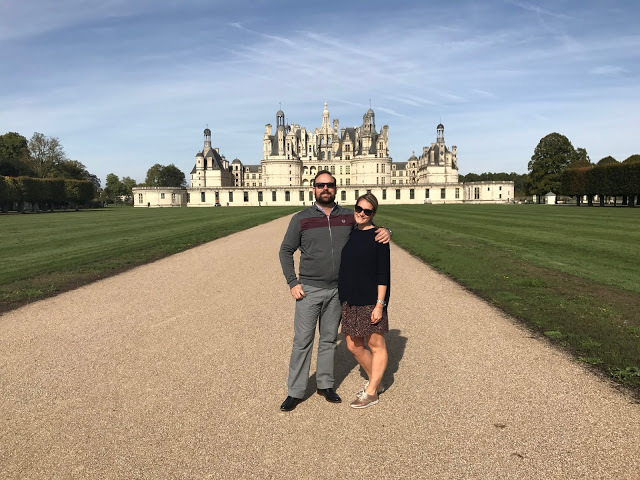 Sorry for the photo bomb but the light was magical as it went from light to dusk and the castle lit up. 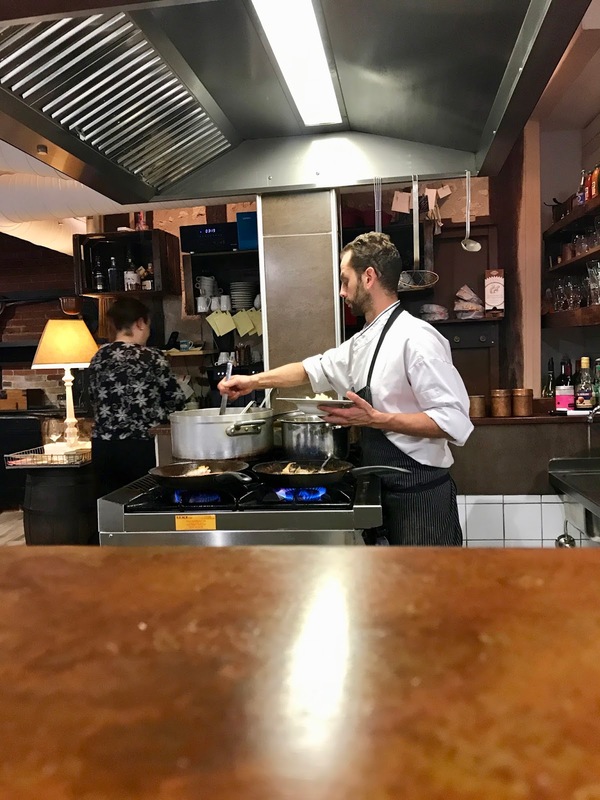 We walked over to dinner at Restaurant L’ilot where a daily 3 course menu is cooked in front of you! This was one of the best-value meals we enjoyed throughout the entire trip and the kitchen show is a nice bonus! 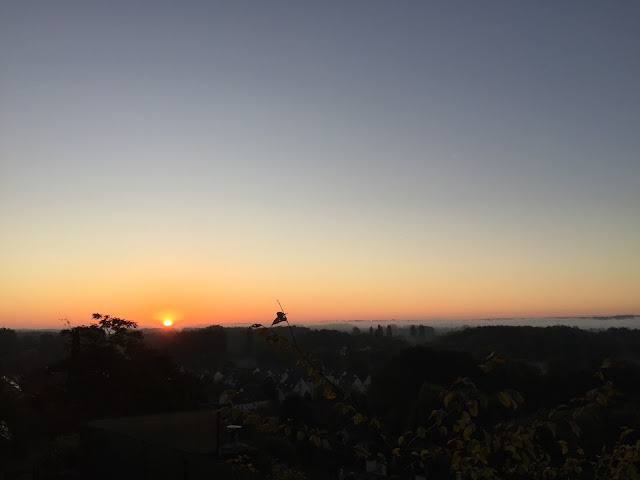 Later sunrises meant we actually got to see them. 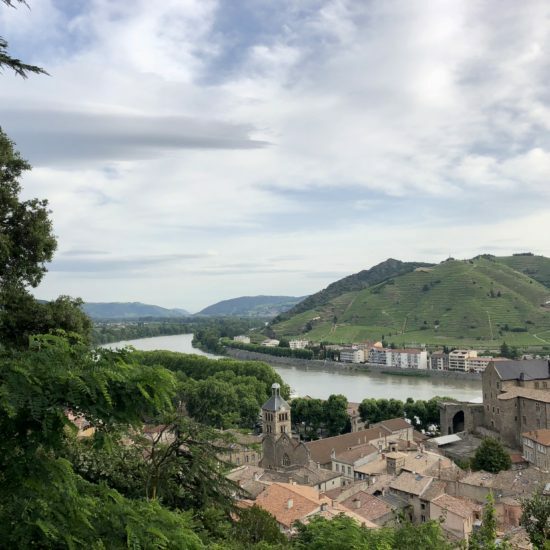 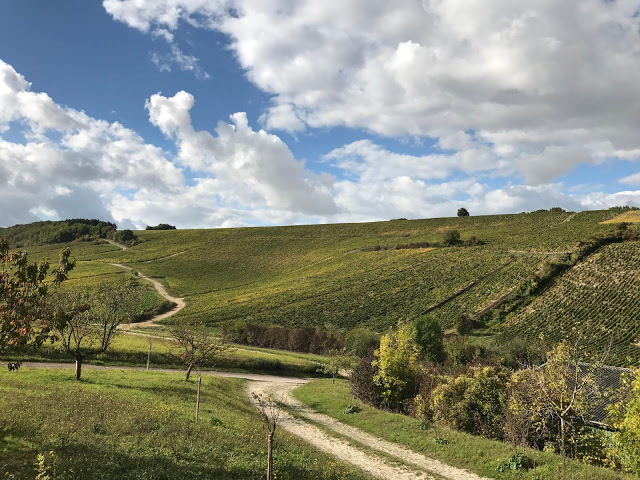 There were vineyards and hills above Nazelle which were a perfect place to take a walk to start the day. 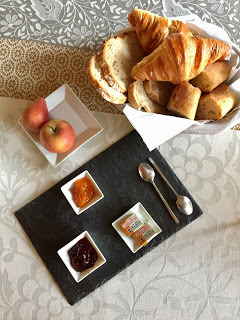 After one more breakfast, we packed our bags and were off again to continue the road trip. 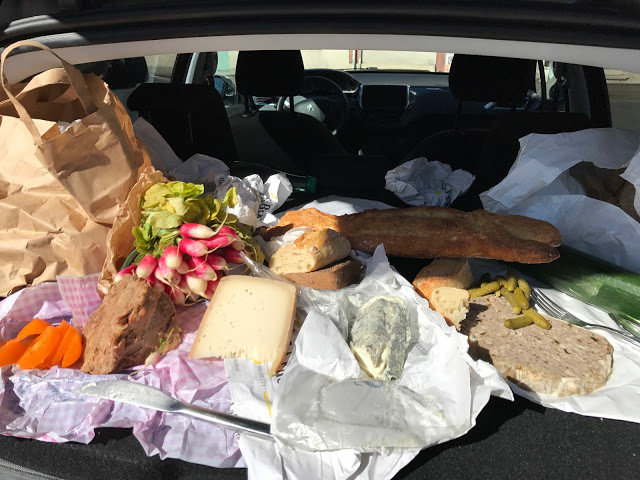 We stopped one town over to visit another market and refresh our picnic supplies. 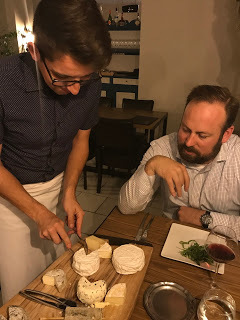 We also discovered the “best pork rillette” in all of France can be found at a small charcuterie shop on Rue Lucien Arnoult in the town of Vernou-sur-Brenne, I’m sorry I don’t know the name but it’s on the left-hand side of the street, next to Boulangerie Huvet. 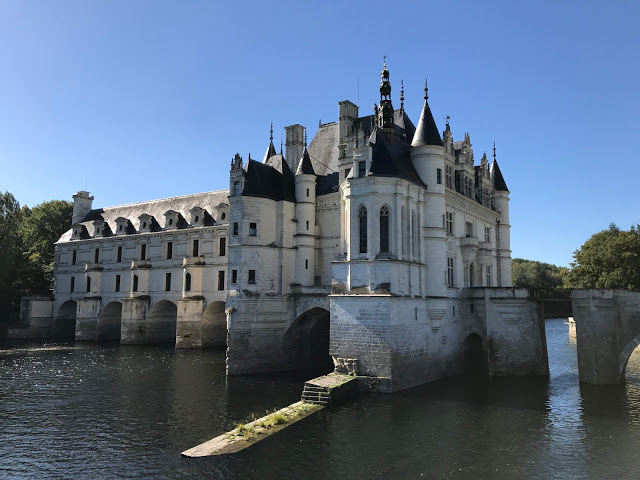 We carried on to Chateau Chenonceau. 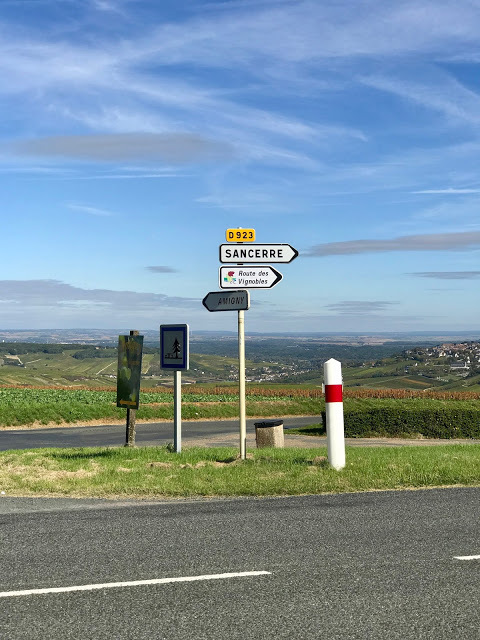 Then it was onward to Sancerre! 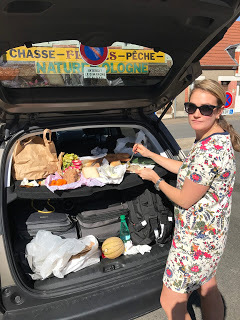 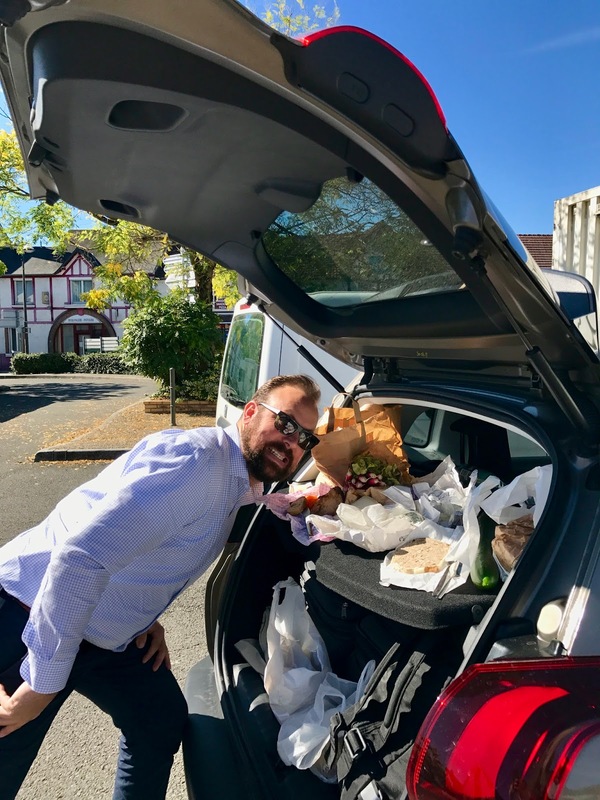 We stopped for lunch in a no-name town for a car-picnic! 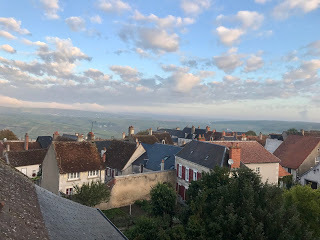 We arrived in Sancerre to the most beautiful afternoon sun shining right on the hilltop town. 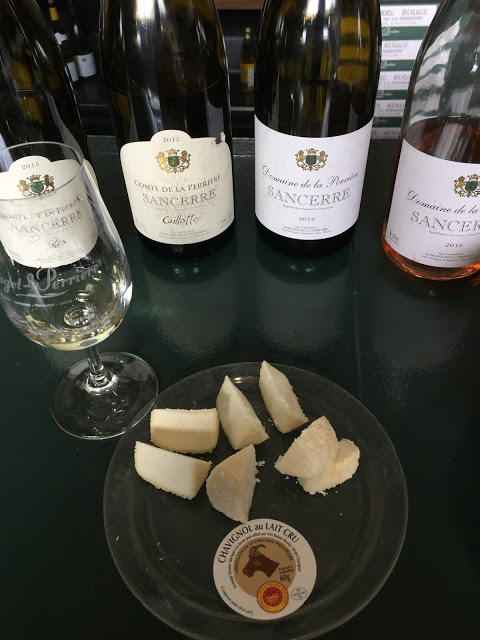 We went immediately to Domaine de la Perriere for a tasting. 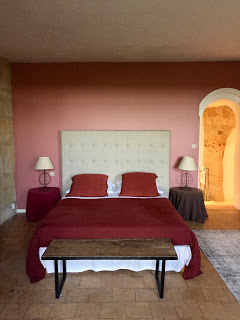 The caves where the wine is made and stored were naturally carved into the hillside some 200 million years ago! We had our first pairing of Sancerre and the famous local cheese, Crottin de Chavignol, and my mind was seriously blown! 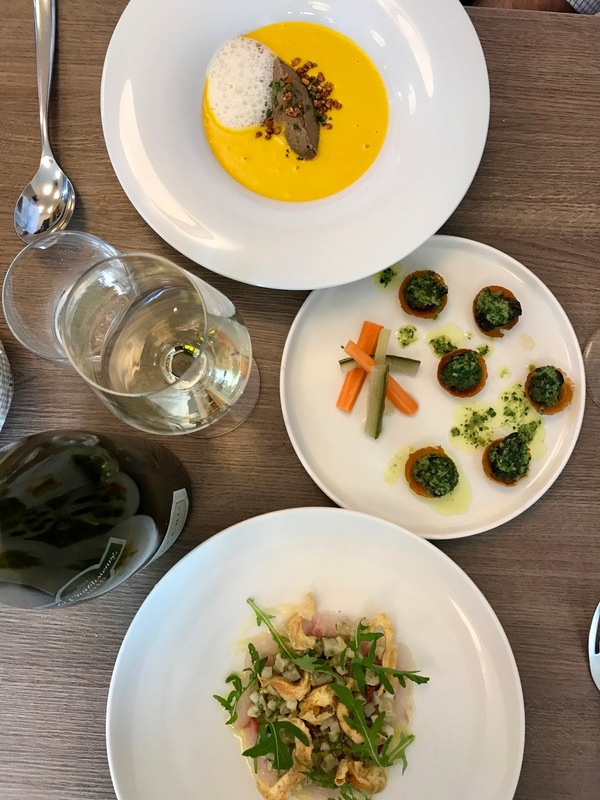 This is what wine-pairing dreams are made of and bits and sips played off of each other in ways that made both taste that much better. 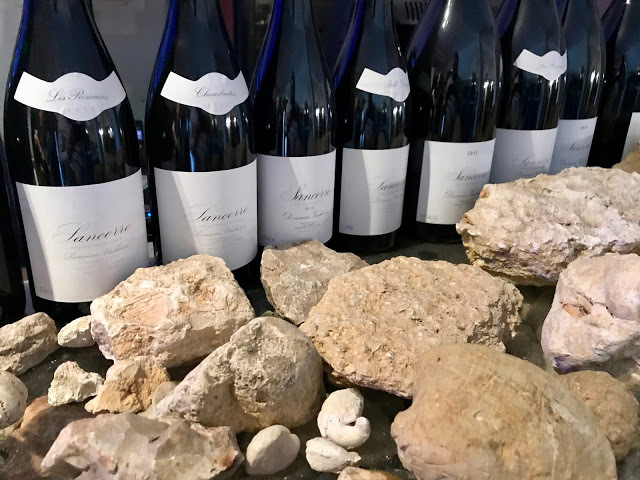 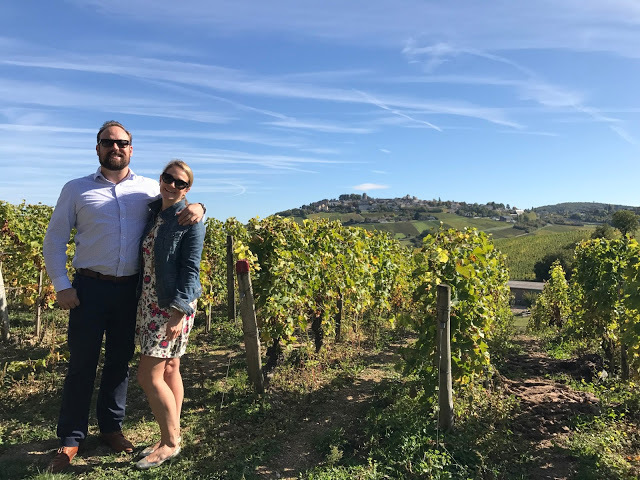 Our next stop was Domaine Vacheron in the heart of Sancerre town where we tasted through their outstanding line-up of reds and whites in the cellar. 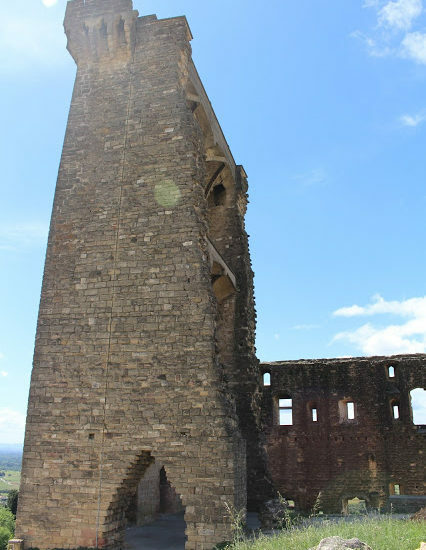 The family has been in Sancerre growing grapes and making wines since 1900. 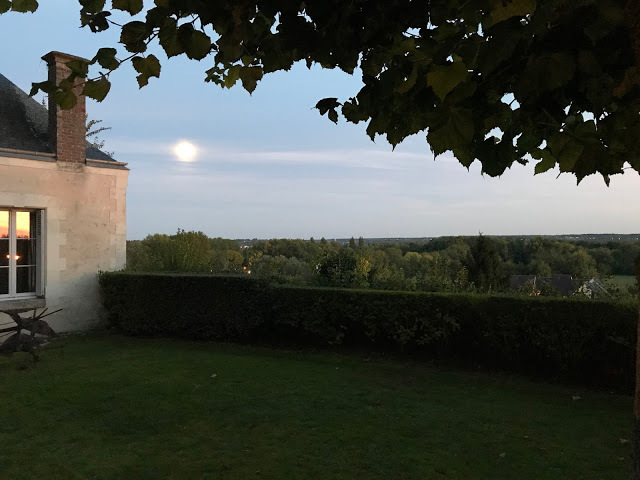 We had a delicious dinner at La Pomme d’Or before resting our heads at Le Cep in Sancerrois. 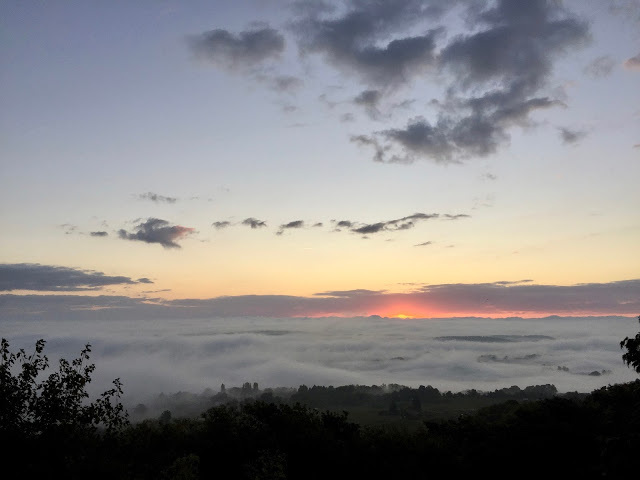 Another sunrise peeking through the fog from Sancerre before continuing on our journey. 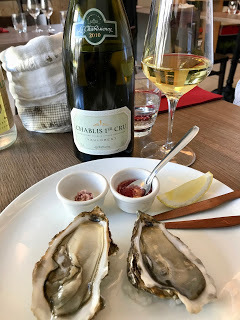 While not officially part of the Loire, we ended our road trip in Chablis, in the beginning of Burgundy. 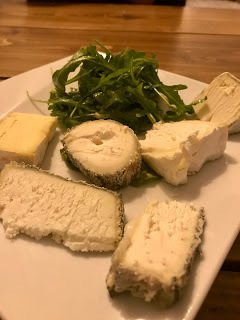 We did a quick tasting at William Fevre before one of the best lunches of our trip at Les Trois Bourgeons. 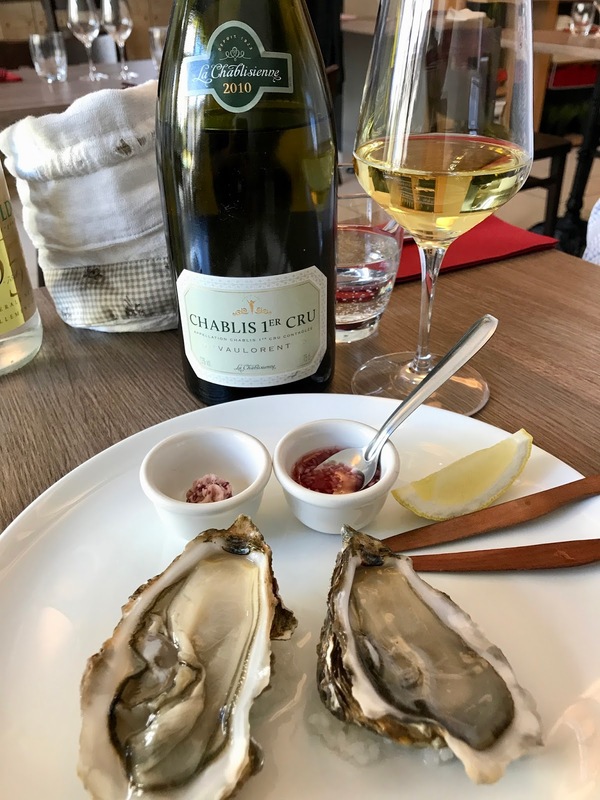 We ordered a bottle of La Chablisienne 1er Cru and the winemaker just happened to be eating lunch at the table next to us! 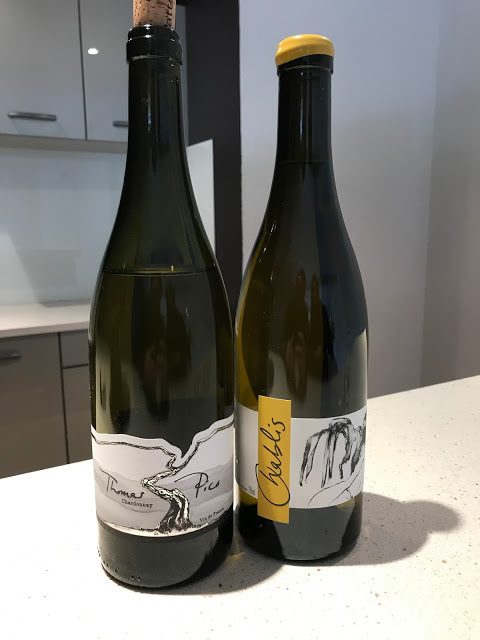 After a quick drive through the vineyards above town, we stopped for a tasting at Domaine Pattes Loup, which was the first Chablis I ever had! 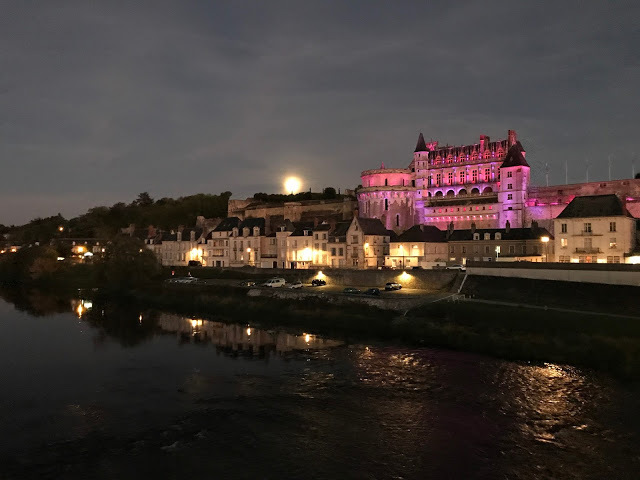 Then it was on to Auxerre where we caught the train back to Paris. That was really fun schlepping the 24 bottles of wine we had accumulated over the week! 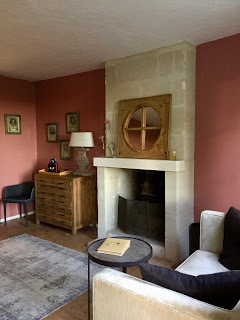 Once back in Paris, we stayed once again at Hotel Caron de Beaumarchais, centrally located in the heart of the Marais. 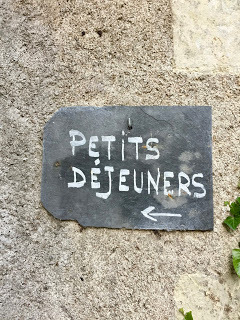 Over the weekend we had a snacks at Le Mary Celeste and Boutique yam’Tcha, dinners at Le Dauphin and Brasserie Thoumieux, and a final send off lunch at our favorite place, L’Avant Comptoir, although this time we tried the seafood version “de la Mer” which has a few bar stools, the same delicious bread and butter and allows you to order from next door and send anything over so you get the best of both worlds!